Most likely time of precipitation onset (rain, snow, sleet, freezing rain).This information is provided when we issue a Warning or Advisory for expected snow or ice accumulation; typically six to 24 hours in advance. Most likely time of precipitation ending (rain, snow, sleet, freezing rain).This information is provided when we issue a Warning or Advisory for expected snow or ice accumulation; typically six to 24 hours in advance. 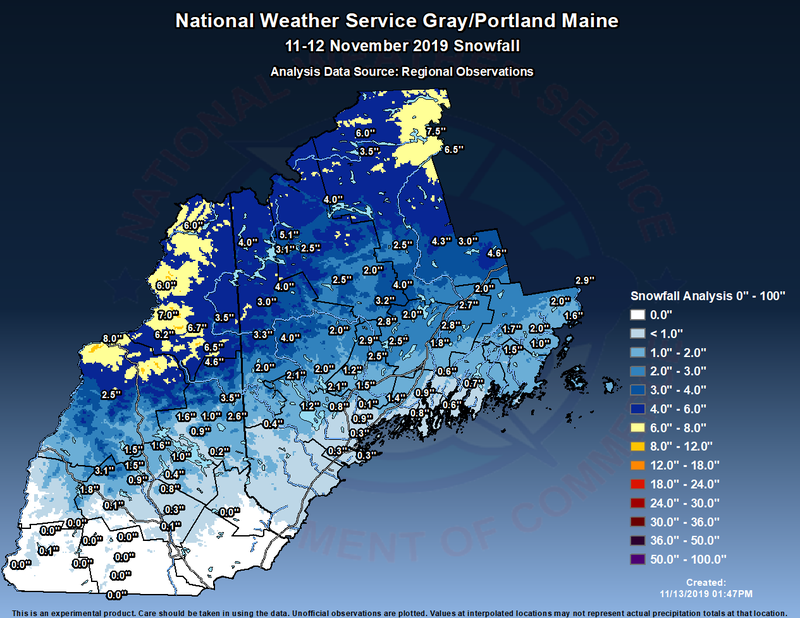 As snow and/or ice reports come into the NWS (you can email reports to gyx.webmaster@noaa.gov or Tweet to @NWSGray), we will pass them on here. With the map linked here, and the supporting reports below it, you can keep tabs on how much has fallen. Red Shading (Wet Snow): Snow ratio of 1-10 to 1. 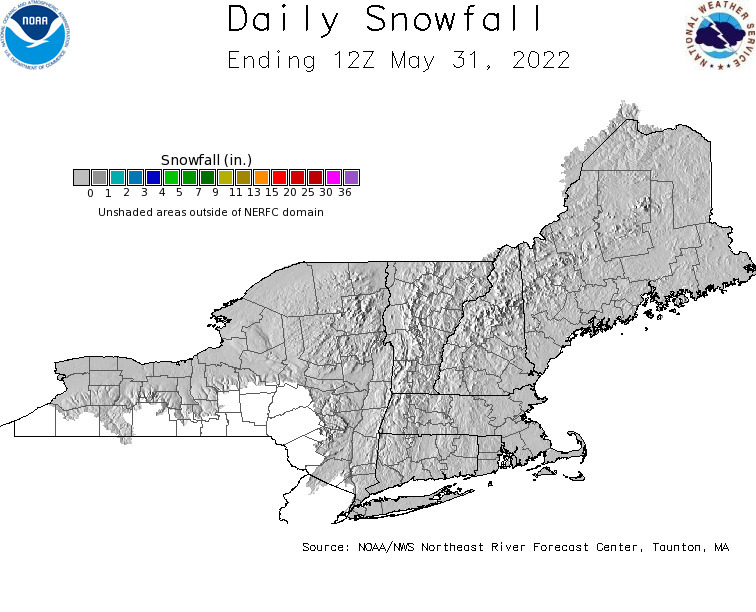 Green Shading (Normal Snow): Snow ratio of 10-16 to 1. 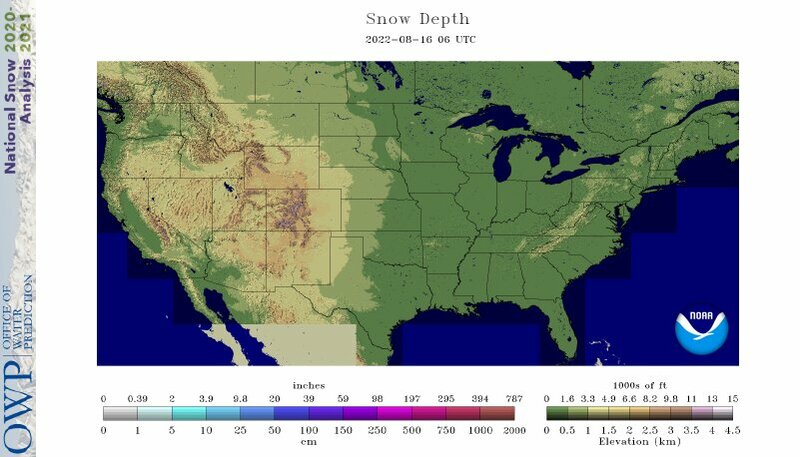 Blue Shading (Dry Snow): Snow ratio of 16+ to 1.